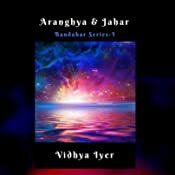 Aranghya and Jahar is a fantasy novel which is actually based on multiple dusky aspects or emotions. 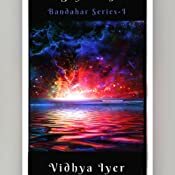 Story is set in Bandahar which is an empire of seven kingdoms and Aranghya is tye capital of that empire. Bandahar is ruled by a powerful king Mithilesh. King Mithilesh has been warned by "dreamers" to get rid out of his empire in future and they'll destroy his entire dynasty. There a prophecy also that he'll be killed by golden serpent. Mithilesh wants to marry her daughter Princess Binodhini with prince Vikrant (Prince of Dwadesh, one of the smaller Kingdoms in Bandahar) but he has crush on another girl Ishanya – An accomplished songstress, daughter of a Sage, her voice has mystical abilities. On the other side Karmachakra also wants to incroach Bandahar. Who are Karmachakra ? What a happen next in Bandahar ? What about the golden serpent ? 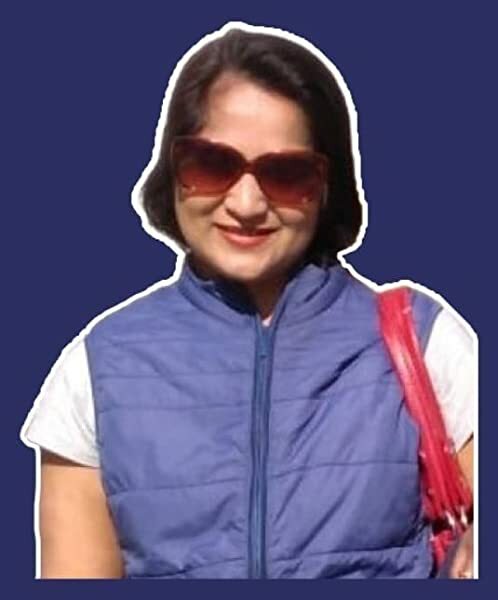 And to know the role of ( Shikhanderi – The main protagonist of the story, a royal orphan reared in Jahar ) in the story read the story. If we talk about the storyline and plot. Plot and storyline is complicated, full of characters and pre assumptions. Fantasy is full of action , love story , battle ,secret and revenge. Starting is fast forwarding but balanced after few pages. Looking forward to the sequel. 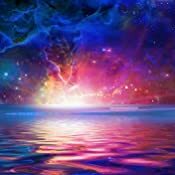 Recommended to all fantasy readers , it's a very detailed narrated fantasy. This book has given me a mixed bag of reactions and experiences. Let me begin at the very beginning. Firstly I would definitely like to congratulate the author on her debut work and it managed to convince me to keep a look out for the next in series. The cover of the book though simple could not convey to me anything about the story. The blurb was in equal parts intriguing and unrevealing of the story. The plot does seem fragmented or abrupt at the beginning but it definitely cauught my attention midway through. But now I completed the story I feel the author was justified as she had to introduce a lot many characters and give an overall picture of the story. The story started off slow but picked up pace at half point. The language is good but could do away with the typographical errors and narration does seam piecemeal in the beginning but smoothens in the end. The story is about the kingdom of Aranghya with its seven regions and the dynamics between them. The story has the elements of kings and queens, their dynamics, love, loyalty, lust, courage, trust and betrayal. 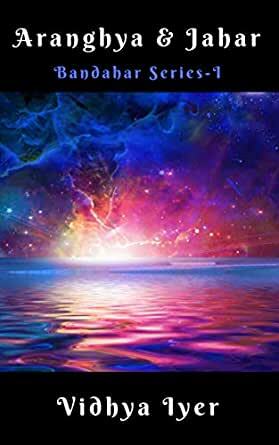 If you love fantasy as a genre and love reading about earlier times and unknown kingdoms with a mix of elements then this book is for you. As for me I will be definitely reading the next in the series. The plot involves many characters of whom Mithilesh is the King of Aranghya, part of Bandahar which comprises of seven kingdoms. He has been warned that he would be killed by a golden serpent. And also been warned by the dreamers that he would have to get rid of Kindgom else his entire dynasty would have to be wiped out of history. Even after having all these thoughts in mind, the King wants to marry of his daughter Princess Binodhini to Prince Vikrant (Prince of Kingdom Dwadesh of Bandahar). But as a twist the prince is in love with Ishanya, the daughter of a sage and is someone who sings well. Her voice is known to be magical with mystical abilities. A love triangle exists between Binodhini, Vikrant and Ishanya. The book begins with a scene which introduces the main Protagonist Shikanderi. The initial chapters give you an idea about the Kingdoms. There are too many plots involved like the Kind and his destiny, the relationship between the kingdoms, the prince and the princess. There is one more character, Karmachakra involved who wants to invade Bandahar and has ill intentions that he kidnaps women to satisfy his intentions. He is a great sorcerer. What is the fate of the King Mithilesh, what happens to the kingdoms? Does the serpent kill the King? Does Karmachakra invade the kingdom? Whom does the Princess marry? Do Shikanderi and Ishanya unite is the rest of the story. The narration seems a bit complicated to understand, but no worries you are provided with a glossary at the end. The too and fro between past and present, too many little plots make it a bit tough to continuously read. The names of the characters and few serious sequences were worth mentioning. The books cover shows open sky with some explosions which could have been better for a serious plot like this. But the cover does not reveal what the book actually holds. Overall the book deserves its place in good one time read list.